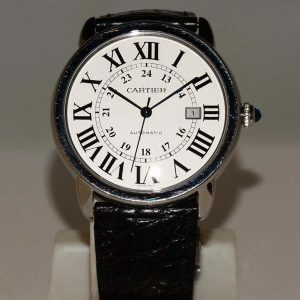 A Gents Stainless Steel Cartier Calibre 3299 Wristwatch. 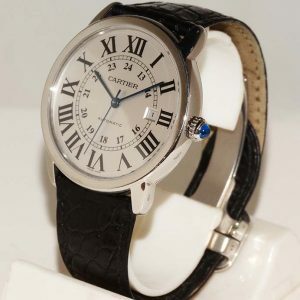 Based in Paris, France, Cartier is a luxury goods company known for designing, manufacturing and distributing quality wristwatches. Founded in 1847, the business has accumulated over 170 years of experience developing the highest quality wristwatches. Its long list of distinguished clientele includes Kate Middleton and King Edward VII. 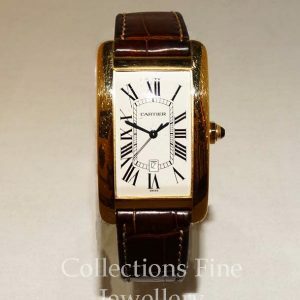 At Collections Fine Jewellery, we’re proud to stock a great range of second hand Cartier watches for sale. Whether you want something simple and elegant or sophisticated and stylish, we’re confident you’ll find what you’re looking for. 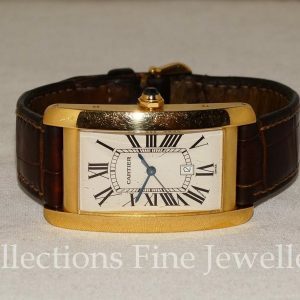 If you’re looking for second hand Cartier watches for sale, Collections Fine Jewellery is a leading destination. Contact us today to learn more about how we can help. Give us a call on (03) 9867 5858 or enquire online and we’ll get back to you as soon as possible.